Today, I had the pleasure of reading What We Most Want by William Kenower. It seemed like a sign for me to have stumbled upon this article, because I had no idea what I wanted to write this morning. And until a few weeks ago, I didn’t know I wanted to write Southern Literature either. I dabbled in many genres. I wrote No Turning Back, a woman’s fiction, love triangle, with an unexpected ending. 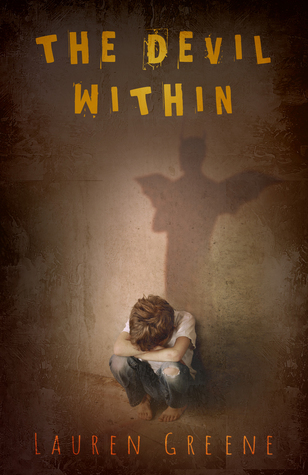 After writing that book, I wrote The Devil Within in about two weeks. After finishing The Devil Within, I felt like I couldn’t finish anything else. I wrote a Southern psychological thriller or coming-of-age or who-knows-what-genre-it-falls-into-because-I-hate-classification called Little Birdhouses. Then I toyed around with a story about swingers (I’ve since shelved this–thank God!). I started several nondescript manuscripts, but I couldn’t put myself into any of them and I didn’t know why. About a week before I attended Midwest Writer’s, Anna Kate’s voice invaded my head and told me to write her story–the one I’ve been holding on to for fifteen years and is set in rural Alabama in the 1920’s. I finally felt ready to do her story justice–even though it’s truly a labor of love, with tons of research, because let’s face it: I’ve never been a tenant farmer’s daughter. At Midwest Writer’s, someone asked me what I wrote, and I had a sudden realization it was Southern Literature or Southern fiction, or whatever you want to call it. And it makes sense. Because it’s who I am and it’s what I want to write. We all know I love to write tragic stories and what better fodder for stories than the tumultuous South! I started writing what I wanted, and the words started flowing. Writing Southern fiction makes me happy and it made me LOVE my work, just like William Kenower said in his article. Be true to yourself. About once a week, with my Writing Wenches, someone brings up that we should all just write about falling in love with your stepbrother, because these books do well. It’s tongue-in-cheek, because none of us are ready to sell out. The point being, you might make a ton of money doing that (doubtful, because writing to trend when you don’t love what you’re doing can make you burn out quickly), but you wouldn’t be happy. If you don’t write what you love then the words are just symbols on a page with no meaning. Your reader can pick up on your enthusiasm in your writing from the feeling and emotion that the words tend to take when you’re writing something you love. If you love writing step-brother romances then I say go for it! As for me, I’ll take the inspiration I received from reading The Sound and the Fury, Cold Sassy Tree, Fried Green Tomatoes at the Whistle Stop Cafe, and To Kill A Mockingbird (among thousands of other Southern novels I read), and I’ll write what I love. What do you think? Do you write what you love? When you read a book, can you tell if the author was truly inspired and loved what he/she was doing? I’d like to think that I’m writing what I love. Sometimes, it feels more like a chore. I think it’s because I’m not looking at writing as something I want to do. It is and it isn’t, if that makes sense. It’s difficult to tell whether an author has poured his passion into his work. I think in this “right now” world, the pressure to put product out there is too great. Even so, there are authors that you can tell they put their heart and soul into a project. I haven’t been able to tell the difference. But that’s maybe because I don’t read as often as I should. I do write what I love. I love speculative fiction, both the “plain entertainment” one and the “ambitious” one, though I only feel “ready” to write the first one. And whenever I’m stuck, I try to pick one of the things that I like in fantasy and sci-fi and see if I can build something original around it – be it a world or a story. And, funny enough, just like you I have a story idea that has been with me for about 15 years. When I came up with the idea, I thought: “I’m not ready to write it”, I lacked both the skills and the experience as a person. But I wrote it anyway, and now, when I feel I’m ready to try writing it again, I have a neat outline full of ideas and characters I can use. Super timely post. I’m working this through right now! Kudos on your new, or rather, newly-focused direction. Thanks Kristen! It feels good to know where I’m going.